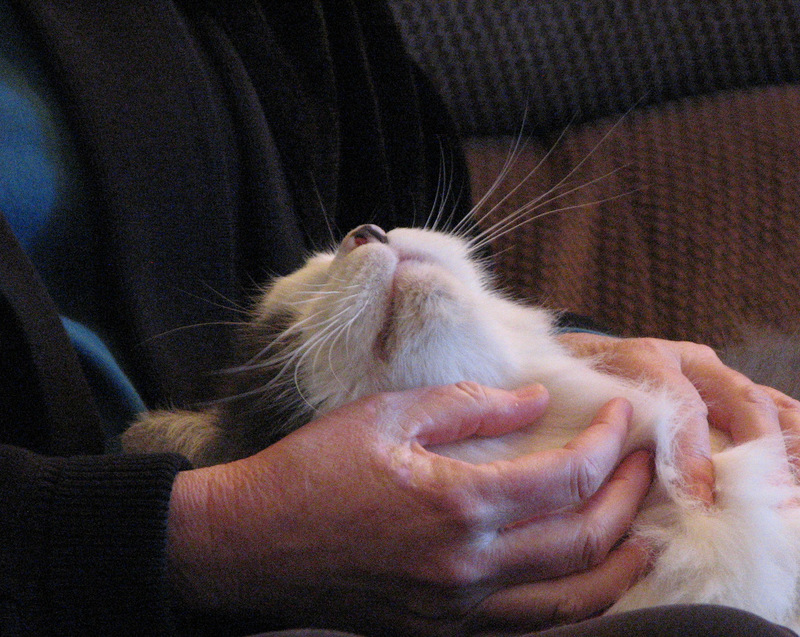 This class will introduce you to Reiki and how you can share it with animals. Reiki is translated as Universal Life Force Energy, and you will learn how to perform Reiki self-healing and how to share it with your animals. The class will held on a Saturday and Sunday, from 10:00 AM to 4:00 PM. Reiki I is best held at the home of someone who has animals, or can be at my home in Davis and include a field trip to Fat Kitty City sanctuary in the El Dorado Hills or other animal sanctuary. Class could also be scheduled on a Saturday on consecutive weekends. Cost: $175, plus a materials fee of $30 for a beautiful spiral-bound manual written and designed by my teacher, Kathleen Prasad, and my supplemental manual. I offer a 10% discount to veterinarians and their staff, and the staff and volunteers at animal rescue organizations and shelters if there are at least 4 people in the class. For the class to run, there must be a minimum of 2 students. Maximum is between 8-10, depending on the space. Please contact me if you have additional questions. To register for class, please email me at acureiki.janfiore@gmail.com and I'll send you a registration form and payment information.